One of my favorite sights in the city are the Sutro Baths. The first time I came across the Sutro Baths my friend and I were exploring the city at night and had driven to the Cliff House. From the Cliff House we were able to see crumbled walls through the fog. Not being familiar with the area, I had no idea what I was looking on. We explored for a few minutes, but didn't get far because it was quite dark, foggy, and there were a few people who looked like they were shooting up. This was my third visit to Sutro Baths and it was an incredibly beautiful day in San Francisco. It was one of those rare days where the entire bay is clear and you can see for miles. 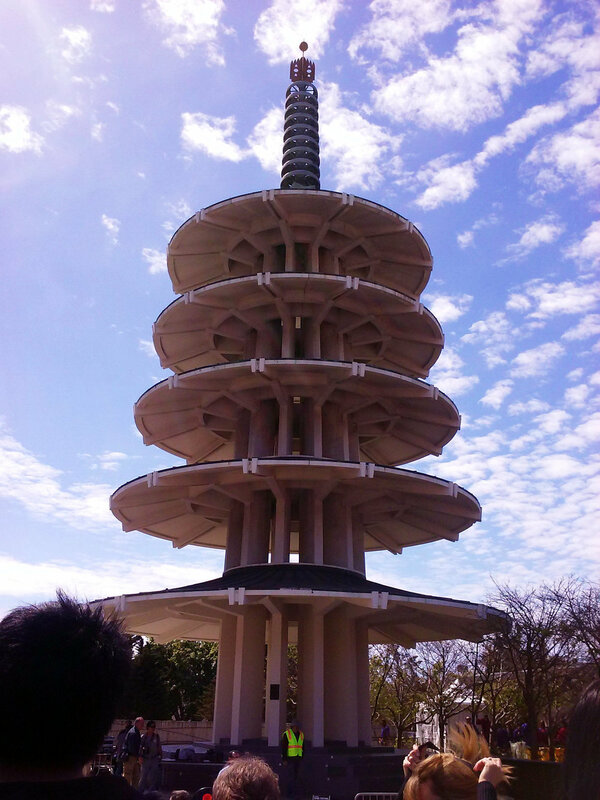 We started with the Cherry Blossom Festival in Japantown, watched a taiko performance, and ate takoyaki. After exploring around Fort Mason for a bit, we got an Uber to the Cliff House to see the Camera Obscura. The Camera Obscura is a free standing room shaped like a giant camera behind the Cliff House restaurant. It costs three dollars per person to go in. It's a cute little tourist attraction that allows you to watch the action on the beach as it happens in real-time. It's pretty trippy to watch seagulls get really close, but after a few minutes I got nauseous. The Sutro Baths were a large privately owned swimming pool complex near Seal Rock, built in the late 19th century. It is now part of the Golden Gate National Recreation Area. The pools struggled to stay open for years before burning down in 1966 due to arson. While the facilities were operational, they included: 6 saltwater swimming pools, one freshwater pool, a museum, a large amphitheater, over 500 private dressing rooms, and an ice skating rink. We explored the ruins, met a 10-month-old German Shepherd puppy, and enjoyed the breezy sunshine. The Cliff House is a restaurant perched on a cliff north of Ocean Beach.The building went through five iterations, the most current a 2003 renovation to look like the 1909 building. It houses both a bistro upstairs and a more formal restaurant with a bar downstairs. You can't beat the views from the downstairs bar and I'm sure the upstairs is just as spectacular. We sat at the corner of the bar where we received excellent service. We treated ourselves to the crab cake appetizer and an order of truffle french fries. 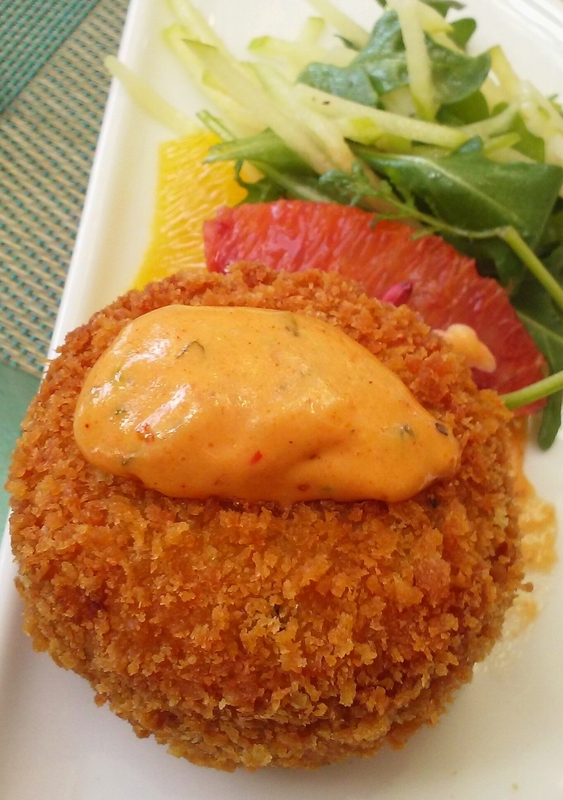 The crab cake came with a lightly dressed citrus arugula salad which cut through the fried richness of the crab. The truffle french fries were some of the best fries I've ever had. Though the Cliff House is a pricey establishment, the food is good, service excellent, and the views unbeatable.